Nintendo has sold millions of DS and 3DS games consoles, but any child who grew up in the 80's will remember the original "Double Screen" game, the Nintendo Game & Watch. 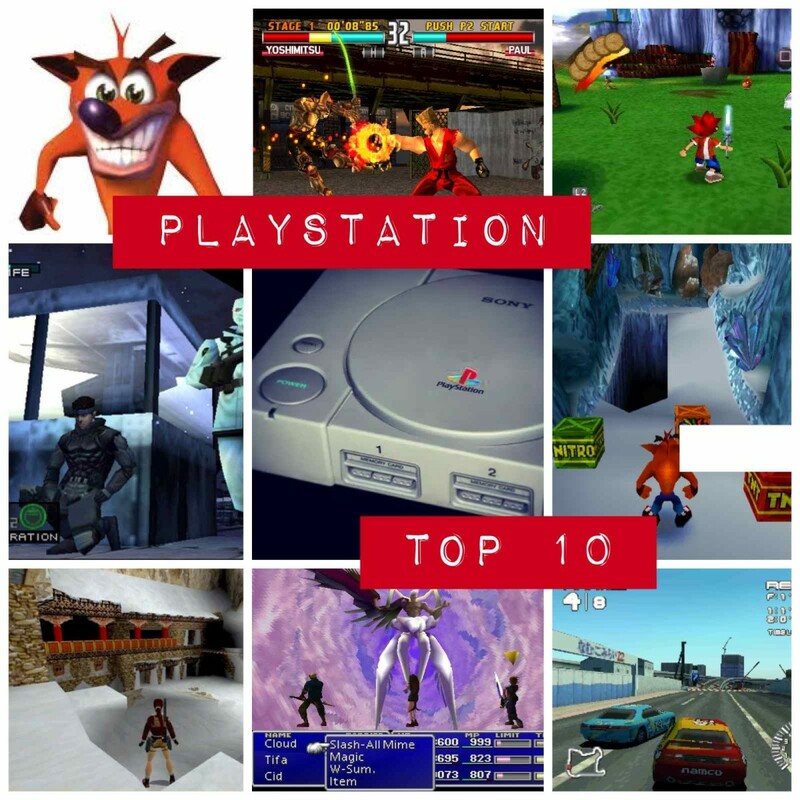 What is less known is the story behind the introduction of this hugely influential range of games, a video game phenomenon which came about almost by accident. 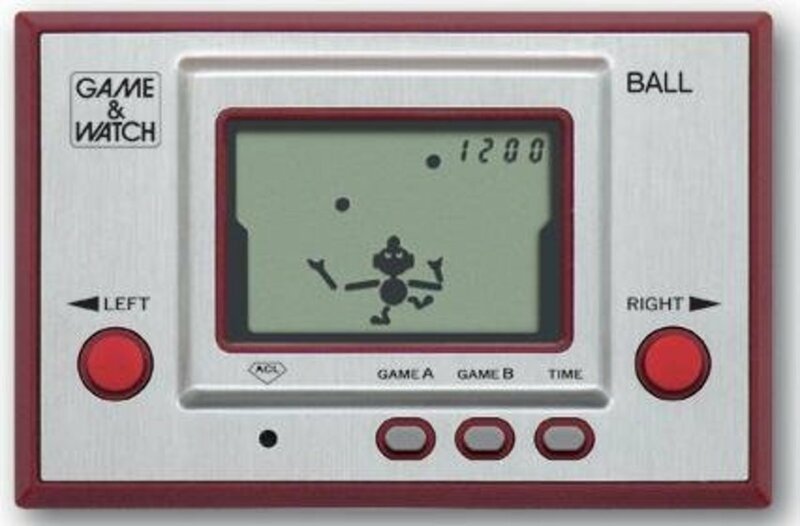 The inspiration for the Game & Watch series came from Gunpei Yokoi, a manager with Nintendo in Japan, who noticed a bored commuter playing with his LCD calculator whilst on the train journey home. What if the same technology for displaying the digits on the calculator could be used to display game characters instead? 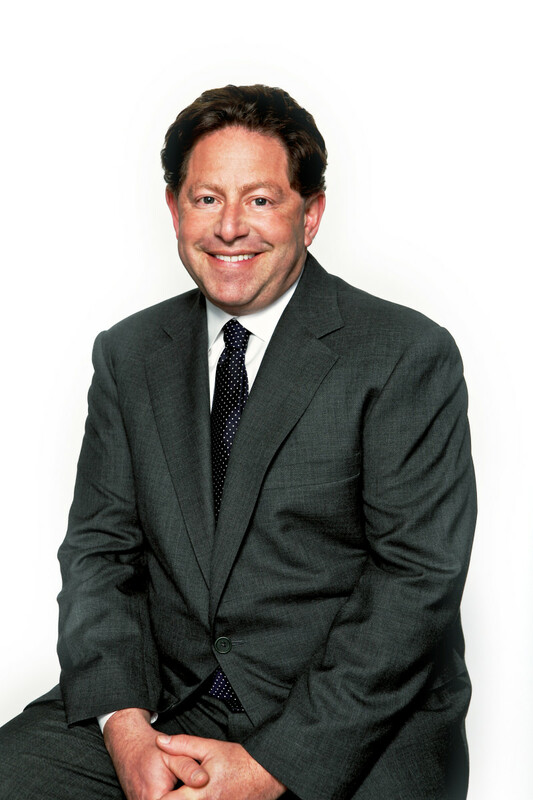 Nintendo have adopted this strategy throughout their history and created all-new products and markets by adapting established low-cost technology for use in innovative ways. A great example is the Nintendo Wii - rather than trying to compete with Microsoft and Sony on sheer power, they used readily available accelerometers and infra red technology to create a brand new genre of gaming. By developing a large LCD display, containing character sprites rather than the digits of a calculator, Nintendo created the Game & Watch, a series that saw 59 different versions released over an 11 year period, and gave birth to the handheld video game. These games would typically use 2 buttons, and sometimes 4 buttons, one on each side of the game to control the character on the screen. The games were very compact in format, the smallest of the Game & Watch series. 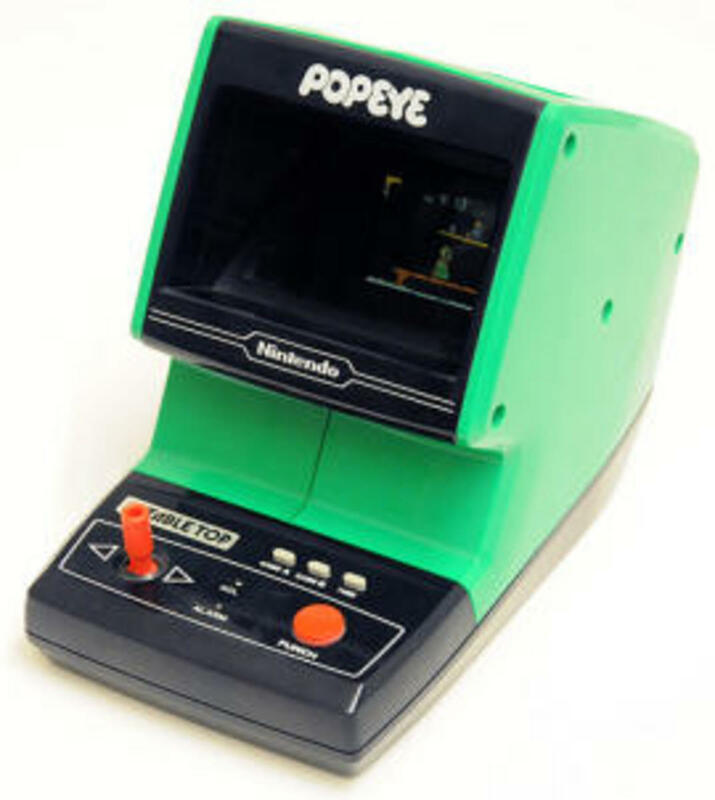 Due to the size of the screen these early games had very simple gameplay, such as Fire! which required you to rescue victims from a falling building by catching them, and bouncing them into a waiting ambulance. This game used only two buttons to move the character left and right. The Gold series (denoted by the colour of the metal faceplate) released in 1981 featured games with more complex scenarios requiring more buttons, such as Manhole, which required you to close one of 4 manholes to protect passing pedestrians. 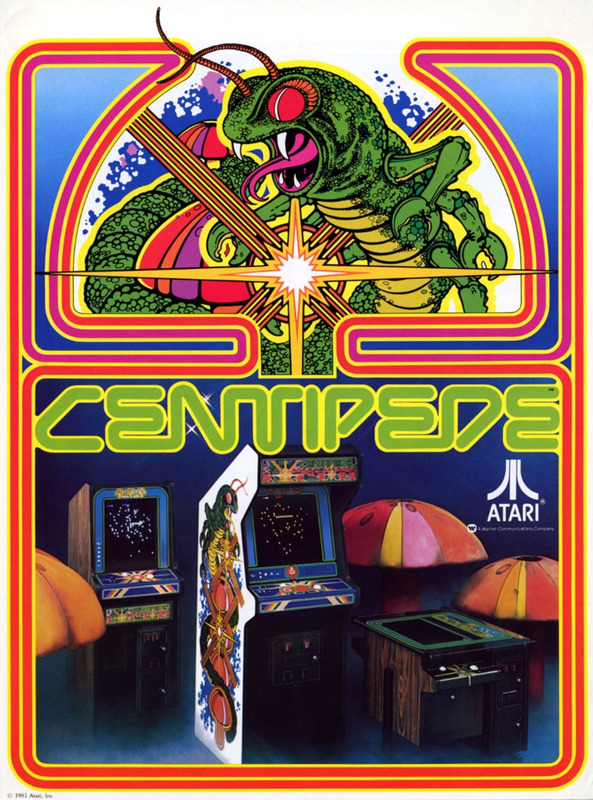 In 1981 a widescreen series of games was released, with a larger play area allowing more complex games to be represented. 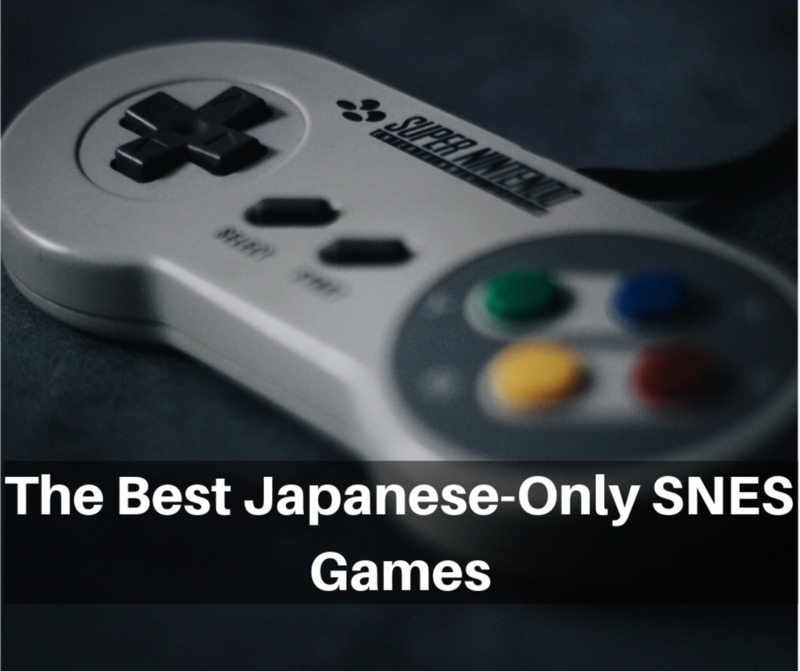 These games were notable for featuring well known cartoon characters such as Mickey Mouse, Snoopy and Popeye, appealing to western audiences. These characters would go on to be featured in later games in the series, but the roster of 3rd party characters would not be added to, with Nintendo preferring to stick to it's own intellectual property such as Mario and Donkey Kong. 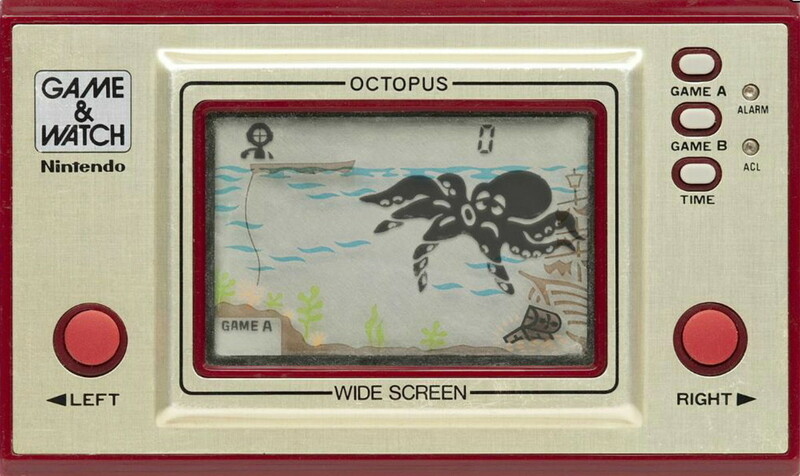 One of the more popular games in the Widescreen series was "Octopus", a complex game with a screen filling sea monster, whose tentacle must be avoided in order to plunder treasure. The Widescreen format remained popular throughout the life of the Game & Watch series, with games being released throughout the 80's, and culminating with Mario the Juggler, the very last retail release of the iconic handheld games in 1991. Mario the Juggler brought the series to a fitting conclusion, being a remake of the very first game, Ball, released 11 years earlier. 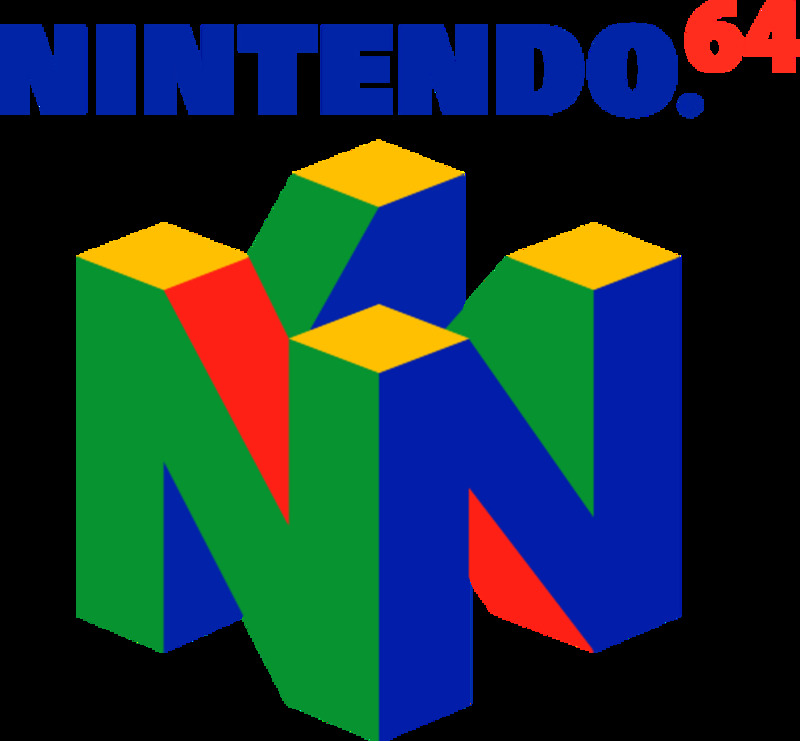 Later games became more elaborate, with the now famous Nintendo "D pad" being used for first time, and a novel double screen model which allowed play to carry across a larger area. The most popular of these twin screen games was Donkey Kong, an incredibly faithful (given the limited graphics capability) conversion of the arcade game, and the first appearance of Mario. 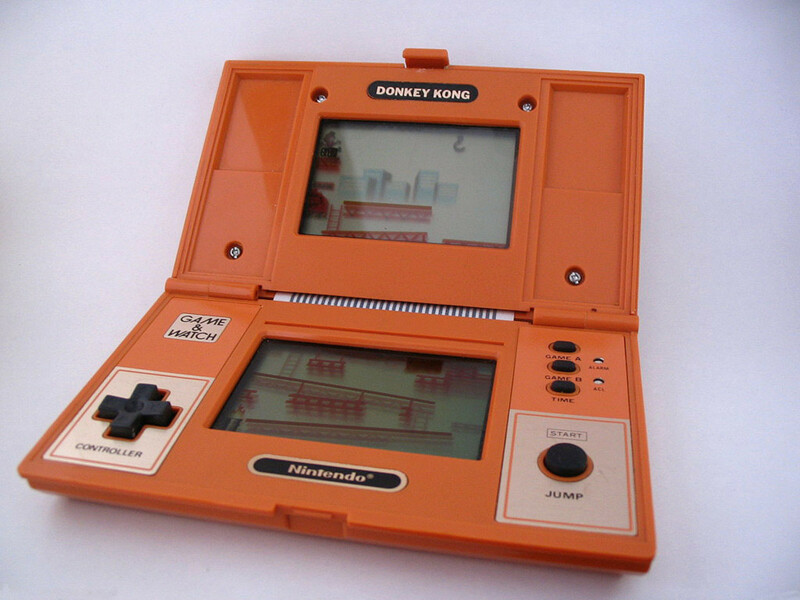 Looking like a small orange DS, the game flipped open on a hinge to access the screens and controls (D pad and jump). By colouring the rear of the screen to create the girders of the building, and also the ladders, the LCD screen itself could be used to display mario running, jumping over barrels, and even using a hammer. There was also a Kong graphic waiting at the top for you – albeit with a different mechanism for defeating him, involving jumping on a crane and pulling out pins to destroy the platform Kong is stood on. Mario would get his own game, with the popular Mario Bros multi-screen Game & Watch, this time with a horizontal format with the screens side by side, representing a more standard left to right platform game. The Tabletop series of Game & Watch games were a departure from the series, as they were a completely new format. Using a CLCD (Colour LCD), which required light to shine through a window at the top of the game to illuminate the characters on the screen, Nintendo converted some of the previous games in the series to a large full colour format. These games were no longer truly portable, or useful as a watch, as they needed to be sat on a desk or table, or balanced on your lap, and the size meant that they could not be slipped easily into your pocket. The games used large D type batteries, which hampered portability even further. due to the weight. Whilst they were not true Game & Watch games, they were great games in their own right, with full size joysticks, colourful animation and improved sound effects. Due to their higher price tag, and smaller sales numbers, they are now highly sought after by collectors, and can fetch high prices at auction if found in good condition. The panorama games were a hybird of the Game & Watch formats, using the colour screen from the TableTop games, but in a handheld format that used a mirror to enable the game characters to be visible in bright light. 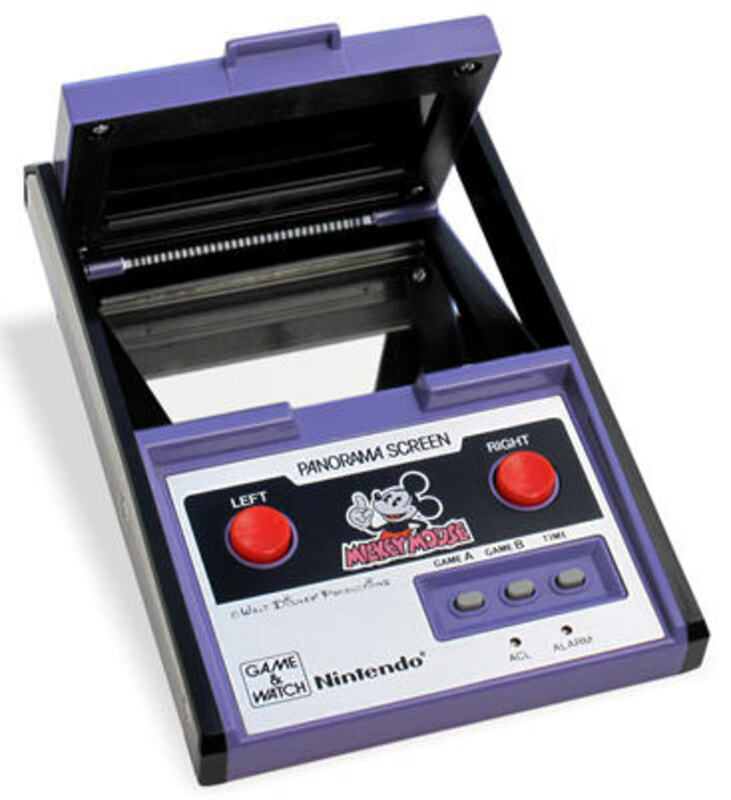 The game itself used a hinge to fold flat when not in use to protect the mirror and screen, and was operated by standard Game & Watch style buttons. 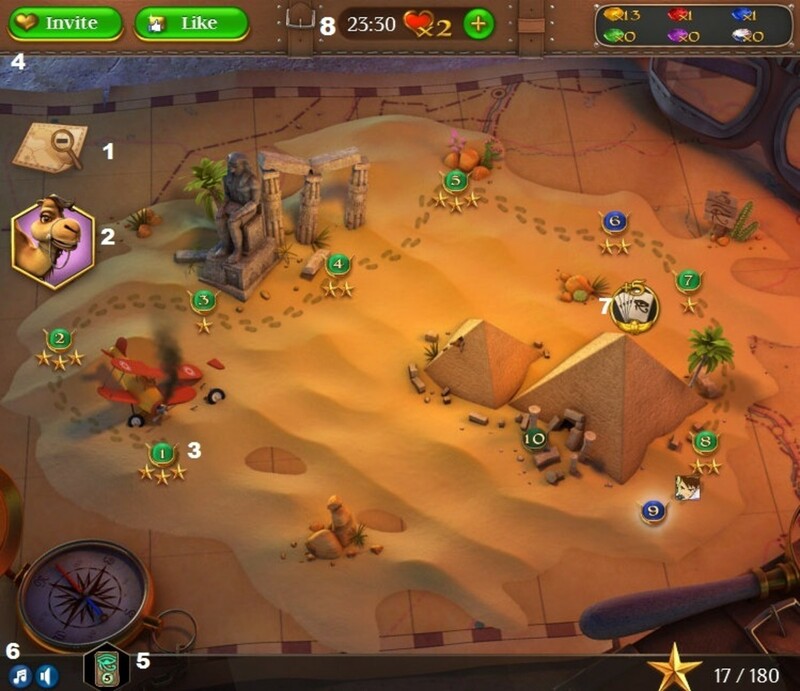 Most of the Tabletop games were converted to this format, as the display was re-usable between the 2 formats, as well as some original games being created including another appearance by Mickey Mouse, and a new Donkey Kong Game. These games were sold in smaller numbers, and due to the hinge mechanism more fragile than some of the other formats, and therefore are quite rare and fetch higher prices at auction. Only 2 games were released in the Super Colour series, which featured different coloured LCD panels to represent the characters on the screen. Each section could only represent one colour however, so the effect was somewhat like early Space Invaders machines, which had coloured plastic over the screen to create a single colour effect in that area. The first game is Crab Grab, which involved pushing crabs off the screen without being pinched. The second game is Spitball Sparky, which is a very basic version of breakout, with your character knocking out different coloured blocks by bouncing a ball to the top of the screen. These games are rare, and therefore very sought after by collectors, fetching very high prices at auction. Most expensive of all is the elusive "white" version of Spitball Sparky, created in error due to a problem in the manufacturing process. The Crystal series was a redesign of the Game & Watch format, replacing the standard plastic and metal plate with a hard translucent crystal shell that covered the whole of the game surface. As the screen was covered on 2 sides by clear crystal, you could acually see through the play area, with the game characters visible in-between. 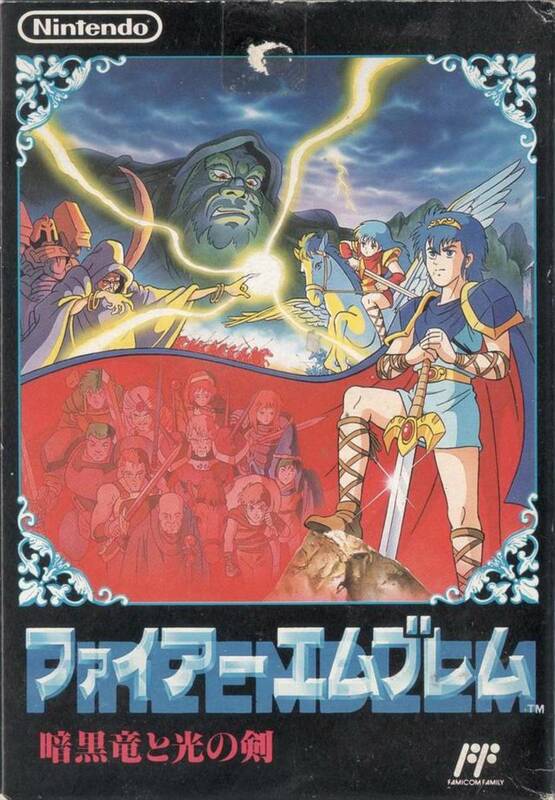 These games are all remakes of earlier widescreen versions, retaining the same controls and gameplay. The rarity of these games, and the more fragile crystal cases, make a these games much more valuable than the regular versions when found in good condition, and are much sought after by collectors. Game & Watch Micro Vs. 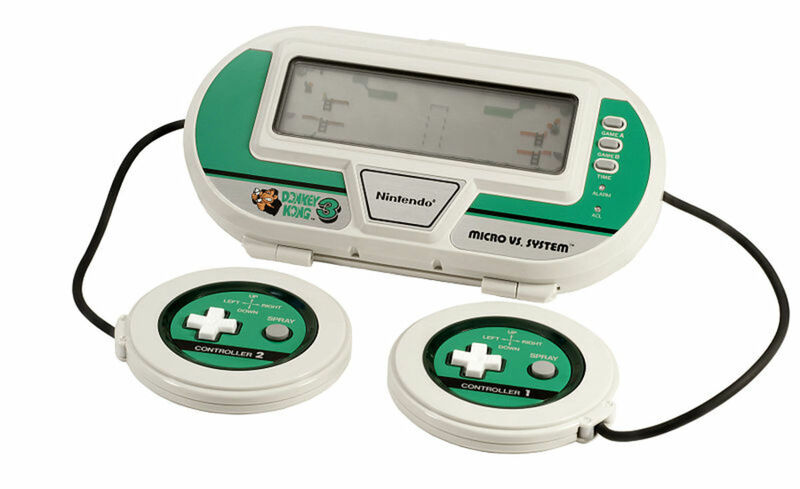 The Micro Vs. series introduced 2 player gaming to the Game & Watch, by attaching 2 wired joypads to a single Game & Watch unit with a large LCD screen. Only 3 games were released, including 2 based around the popular Donkey Kong character, the third a Boxing game similar to Punch Out on the Nintendo Entertainment System. There are many avid collectors out there, their mission to collect the 59 different versions of Game & Watch that were made throughout the 80′s and early 90′s, and a full collection can cost many thousands. Whether you play these games or not, they are a great investment and are unlikely to depreciate in value, and if looked after carefully, should still be working in another 30 years. 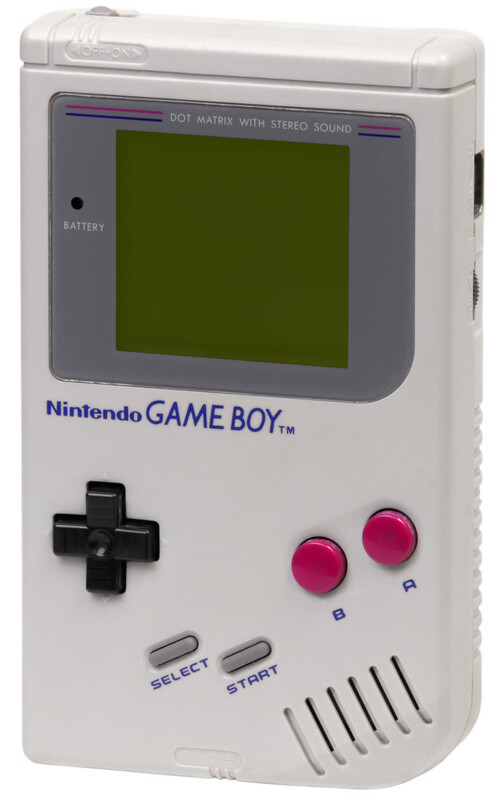 The Nintendo GameBoy that followed the Game & Watch games was also a creation of Gunpei Yokoi, using a similar LCD technology but with a high resolution dot-matrix screen which had replaceable cartridges. The GameBoy was worldwide sensation, selling in the millions, and gave rise to a new market for handheld consoles with competitive units being released by all of the major console manufacturers. Sadly, Gunpei Yokoi never saw the latest Nintendo DS series of games come to the market, as he died in a motorway accident in 1997. With the Game & Watch, his legacy is one of the most innovative and popular series of electonic games ever created. What was your first Nintendo handheld game? Did you have a Game & Watch game? Please let me know your favourite! I would try and look online, there will be a forum for collectors where someone may do repairs? Google for "game and watch" forum. Where can I get my Mickey Mouse game repaired as the buttons no longer respond? There is no mute switch I'm afraid, I think a few later titles may have had one but I think you are stuck with the noise! Discovered my old Safebuster the other day and am letting my son play it, but volume is annoying. How do I turn the noise off? Do you have a website with your collection pics? I've got-em-all now, every G&W! Every GB, including the GB Light (Jap only). All the DS's and the new 2DS is on order. I have got the VirtualBoy too. Looking for a new NES, SNES, if it's out there, got the 64 and Game Cube and Wii, WiiU. Pokémon X & Y look good. I'd post pictures but can't see how. Whoops! Pushed the post comment-button to early! Some bandai games where ok though..
And i also friggin' love the design of the games! Just how it feels in your hands when you hold them, and the nicely done backgrounds. Hold on to those little treasures! It's an import, surprised you haven't heard of it! Again I'm not taking pot shots, great site my friend. Marion, I don't know of any websites with price guides, but there is a forum you could try. You might want to try eBay, maybe slightly overpriced but will give you a good idea. Terry, I'd say you have a very valuable collection! I am officially very jealous. Don't sell them, they will only go up in value. I have also collected Nintendo over years, I have almost all of the Game&Watch series, except Vermin, Headache (UK) and that cheap yellow special they gave away as a prize that people want $1,000 plus for! I carried on with collecting all the Gameboys, and the DS series and have just ordered the 3DS XL. I have a load of old handheld games. Where could I get them valued? Ah the SNES, a great console with some classic games, worthy of its own hub! I have one myself, and my kids love the Super Mario games. I still have my original Nintendo game console (the grey and white one) from about 1987. It still works perfectly and my sons and I play it weekly. Loved your article. Very well written. Thanks. Very sad, I wonder what he would make of the iPad and the new Wii U? Very informative. Sad to hear Mr. Yokoi died. But he gave hours of enjoyment to millions of kids worldwide.